8 Seater Taxi Hire and 7 Seater Taxi Hire professional executive service from Kelton Cars. What is the most important part of airport transfers or cruise transfers? A vehicle that can take ALL your passengers in the 8 Seater Taxi together with ALL your luggage. Why pay more for two vehicles, just because your family won’t fit in one taxi? 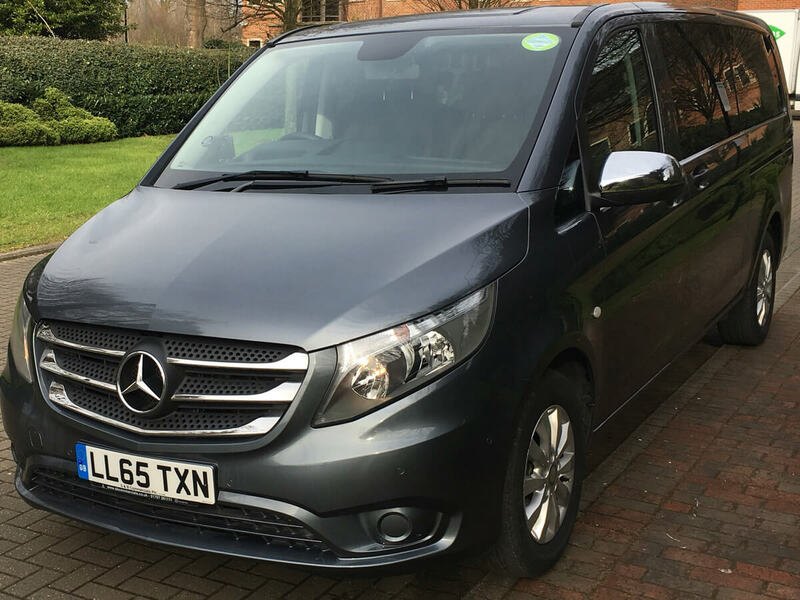 We take the strain out of your journey, so you arrive in style in our executive 8 seater taxi and 7 seater taxi’s. If you are arriving at London City Airport, you may wish to make use of our personal “meet and greet” service to ensure that delays and waiting times are kept to an absolute minimum. 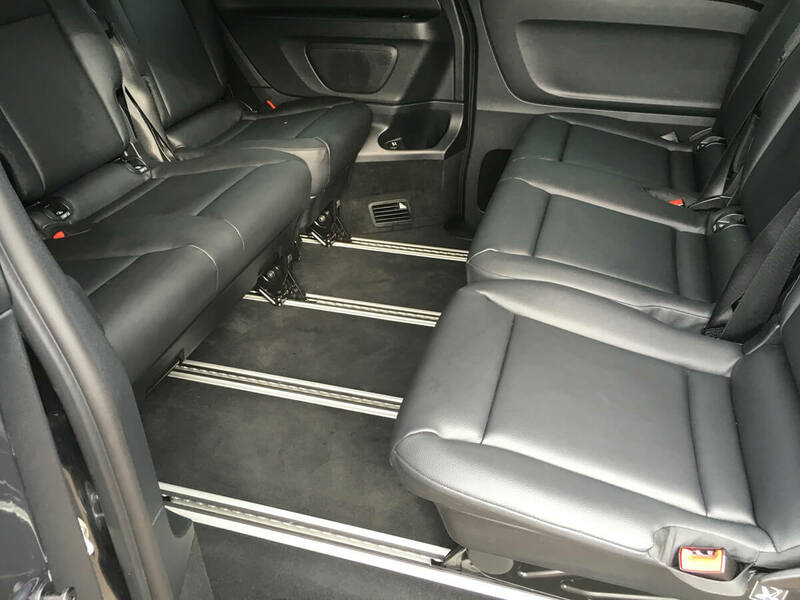 Our executive 8 Seater Taxi Hire and 7 Seater Taxi Hire; people-carriers provide plenty of leg room and conference seating layout, allowing you to start relaxing on your trip as soon as you leave. 8-Seater People Carrier Taxis can also provided as part of our wedding and honeymoon car services. Start saving on your airport runs now, ring Kelton Cars on 07734 956 319 for urgent assistance or complete our 8 seater taxi booking form online. The feedback we receive from clients is that their holiday started as we pulled away from their home in our exceutive Mercedes vehicle. Customers tell us that it is refreshing to be met at the airport instead of having to catch a transit bus to find their car in a windy airport car park. They arrive home refreshed instead of needing another holiday to recover from driving in the motorway traffic. All of our vehicles are new executive class vehicles, with the highest interior specifications that the manufacturers offer, in order to provide you and your family a luxury journey to and from your destination.